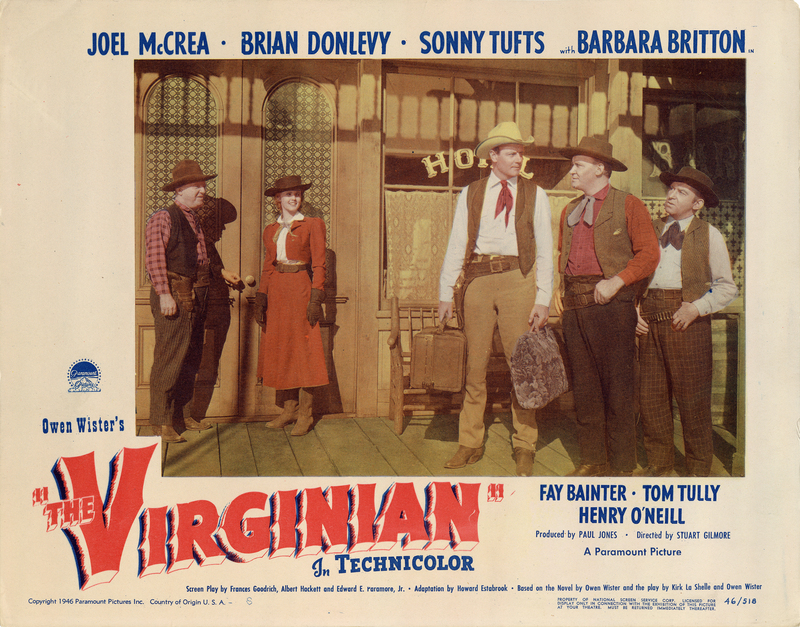 SCVHistory.com LW3153 | Melody Ranch | Lobby Card: 'The Virginian' Starring Joel McCrea, Paramount 1946. 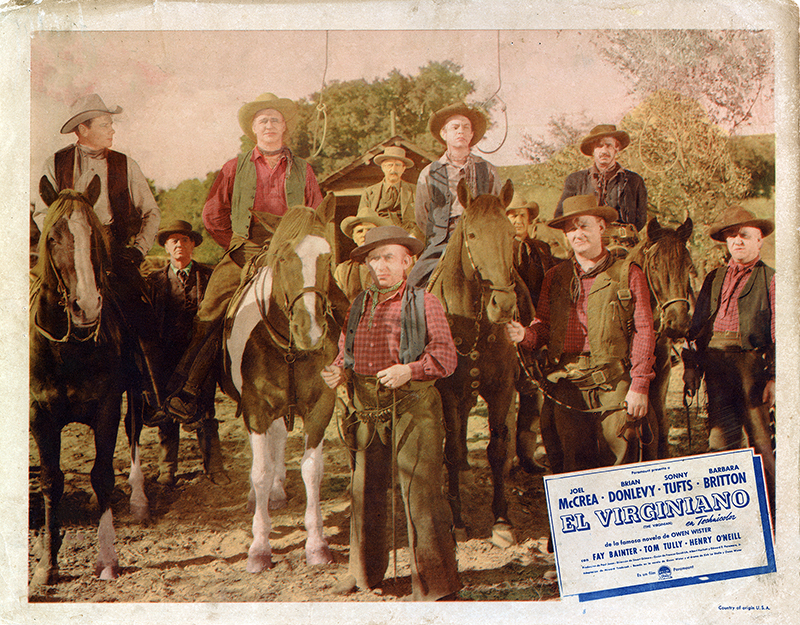 The main cast of "The Virginian" (Paramount 1946) poses for a black-and-white publicity photo at the Monogram Ranch (later called Melody Ranch) that has been colorized for use in this lobby card. Credited cast includes Joel McCrea (above center), Brian Donlevy, Sonny Tufts, Barbara Britton, Fay Bainter, Tom Tully, Henry O'Neill, Bill Edwards, William Frawley, Paul Guilfoyle, Marc Lawrence and Vince Barnett. LW3153: 9600 dpi jpeg from original lobby card purchased 2017 by Leon Worden.